Just when we thought that we had seen it all in terms of platform games, we were surprised with the news of an upcoming title called Drag’n’Boom! The latter is presently being refined, and as per the announcement earlier made by the developer, this is going to be an exceptional mobile experience. We will try to reveal everything that we know in this post, read on! The app will be released by a genius team of developers called Ankama, and if you are a fan, you will know that these guys are also behind titles like FLY’N, Kwaan and Tactile Wars! As earlier mentioned, Drag’n’Boom will have very special features. However, the one that seems to have really caught our attention is the double sling shooting mechanics! You heard it, this forthcoming game will come with features that we once saw in titles from the Angry Birds series. If this alone does not sound good enough, you can still watch the newly revealed trailer to be blown away! That’s right, it’s already out there and it will certainly give you a better glimpse of what to expect. It all looks pretty frantic, and as a gamer, I will have to admit that I have been craving for such an experience. A cute little dragon will have to be controlled; one with a pretty fiery temper! Do note that Ankama will be releasing the app on the 12th of September, and as usual, it will surely be seen on major mobile platforms. For now, they have the website ready and apart from the earlier mentioned trailer, it will also be possible to view several screenshots and GIFs. Check it all out and stay tuned for more details! If like me, you are also a huge platformer game fan, you have certainly subscribed to hundreds of blogs and other gaming news providers till date! That’s pretty normal practice as this helps us keep track of the latest releases, updates and other important announcements. In the past weeks, we heard about the launch of hundreds of freshly developed games. However, Pixel Stomper’s new title is one that has surprised us all! The app is called Jutsu and it’s out there to revive memories of retro titles that we once enjoyed as kids. To be frank, Jutsu seems to be an all-rounder among those of its kind! It comes with smooth touch controls, a captivating gameplay, thrilling background music & sound, and an overall concept that’s very attractive. Once in-game, players will get to help a ninja; one that’s as active as any of those that we might have earlier encountered. The character will be seen in a grey suit and he will be equipped to fight fierce bosses as he goes through the 100 levels. That’s right, over a hundred rounds will have to be completed; these will be distributed across five awesome worlds. Monsters, traps and obstacles of all sorts will also be of the party! This looks like an app that platformer game fans like you shouldn’t miss; visit a local App Store now! For additional details and a better idea of what to expect, the trailer can be viewed on the developer’s official YouTube channel. Check it out and once tested, remember to drop by to share your thoughts about it all. Enjoy! Nowadays, mobile games seem to be released in their thousands every day and competition among developers is hence higher than what it has ever been. In a move to keep their creations refresh and attractive, it was a requirement to find a way to continuously boost things up. Regular app updates were eventually the solution that most decided to adopt in order to keep players’ attention! An example of a recently updated title can be Bloo Kid! The latter has been around for a number of years and according to its creators, its gameplay can be described as a mix between Bubble Bobble & Super Mario. However, over the years, most users seemed to have managed to overcome the original 84 levels on offer. A boost was a requirement to keep this pretty fun app alive; version 4.1 was hence delivered a few days ago. On the other hand, it will be wise to note that an update is not necessarily meant to provide gamers with more playing time! It’s also an opportunity for the developer to improve the quality of the content that is being offered. In the case of Bloo Kid, a 64-bit support was added! This was a move to avoid a certain ‘32-bit apocalypse’. You will have to admit that this was indeed a pretty wise step to take! Do note that the 12 new levels now added, will eventually keep players going for a while. This brings the total to 96 and platformer fans will certainly be thrilled with the treat. All versions of the game can presently be updated for free. Get it done soon and help the character save his girlfriend round after round! The trailer will give you a glimpse of what some of the new features are. Enjoy! Platformer game fans have all been waiting for it and we can now confirm that Hoggy 2 is finally being rolled out! The title has already made its way on Mac and Windows. When it comes to the mobile ports, we know that they are being developed, but official release dates are yet to be known. More details are expected from Raptisoft and we will certainly pass them to you all once we hear from the developer. For now, the game’s latest trailer will surely give you a glimpse of the action! Folks who have been waiting for news from Keybol will be glad to hear that Nitrome has joined forces with the developer to help out with their next project. That’s none other than Tower Fortress and we can now confirm that it will soon be released on major mobile platforms. The publisher has actually improved things; players will hence get to enjoy better graphics and a few other perks. Feel free to check the announcement video for an idea of what to expect! We can certainly guess the fate of a game by the way that it makes its entry onto download stores! These days, thousands of new titles are being released and it’s indeed not easy for players to pick the best in terms of entertainment, purposefulness and gameplay. However, nowadays, there seems to be a pretty clear incline towards platformers among mobile users. The trend might not be similar among video gamers in general, but if there is an app that’s being talked about these days, it will have to be Poi! The latter is a platform-running adventure; it can presently be downloaded for Windows, Mac OS X, Steam OS and Linux. Do note that developer PolyKid also plans to deliver a mobile port for iOS smartphones and tablets. 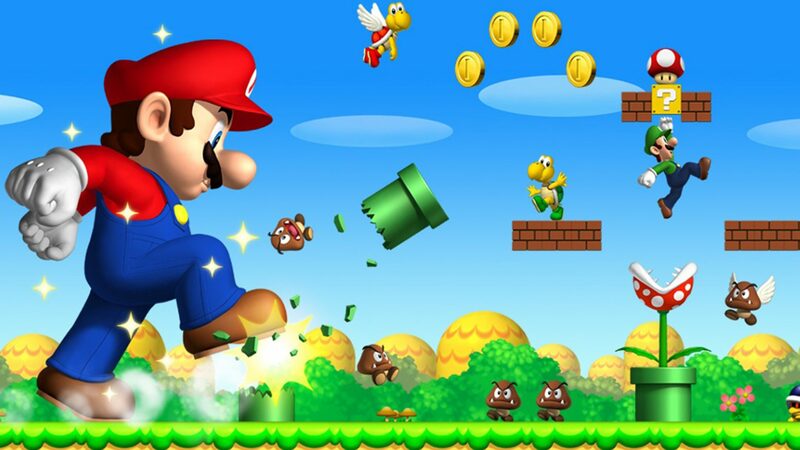 To boot, folks at Destructoid believe that “Poi looks like all the best 3D Mario games combined into one”! Some impressive statements made indeed, and as a mobile fanatic, I suppose that it will be totally worth waiting for this project to land on platforms that interest us the most. For the time being, do check the trailer out and stay tuned for more details coming from PolyKid!